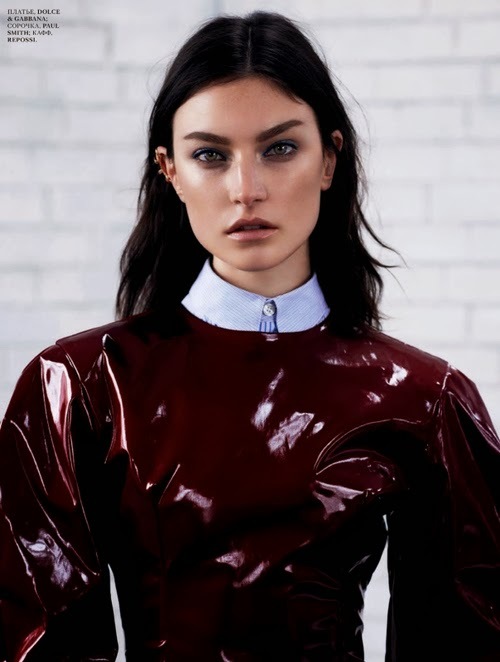 Jacquelyn Jablonski by Driu Crilly + Tiago Martel for Interview Magazine Russia, March 2014. Darcy Backlar styles Jacquelyn in GUCCI, REPOSSI, CA&LOU, PRADA, EDDIE BORGO, MIU MIU, AESA, REPOSSI, BOTTEGA VENETA, CHANEL, GIANVITO ROSSI, KENZO, GIVENCHY, DIOR, LOUIS VUITTON, J.M. WESTON, PAUL SMITH, SALVATORE FERRAGAMO, ETRO, DOLCE & GABBANA, CÉLINE, WOLFORD and GIORGIO ARMANI.